Vente – Swimwear Store PrestaShop Theme is a Swimwear and Lingerie theme from PrestaShop. This is a part of multipurpose Vente theme that can be a great choice for swimwear online stores with stylish and bright-toned design. Choosing this theme you get 6 ready-to-use layouts, 3 Product Pages and 3 variations of Quick View. We also offer a variety of tools and features that allow you to customize the website in accordance with your desires and wishes. It features a fully responsive design and will be performed well on all screen resolutions. Vroom – Auto Parts Store PrestaShop Theme is for automobile technology to provide there service online buy selling auto parts, tyre, wheel,rim,engine parts, car accessories, car decor, car services and many more. it is 100% responsive and customizable prestashop 1.7.X template. It is Optimized for Fast Loading and SEO (Search Engine Optimization) friendly theme. Eveprest Tools – Tools Store PrestaShop Theme is a perfect solution for you to create a professional tools store to sell repair work supplies, repair work equipment, and handyman instruments. The theme includes 4 flexible layouts, near 20 exclusive modules and many smart features. It supports multilingual and multi-currency options and is compatible with the latest browser and devices. Make the life of the homeowners easier create the stunning website today with Eveprest Tools theme from PrestaShop. View the Live Demo and monitor all the advantages! 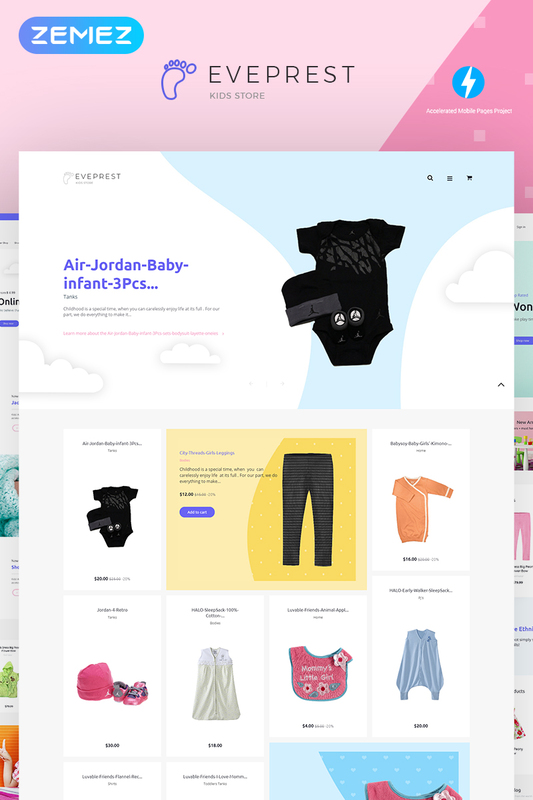 Vente – Apparel Store PrestaShop Theme is built on the latest version of JX Mega Layout module and includes 6 pre-designed layouts, 3 product pages and 3 examples of quick view and Fully GDPR Ready. VENTE now is Promo Sales Ready too, with included banners and pop-ups for such popular marketing activities like Black Friday, Christmas Sale, Mothers Day Sale and much more. VENTE is your opportunity to create a fully operational and functional website that will definitely meet all your expectations. Eveprest Jewelry – Jewelry Store PrestaShop Theme designed especially for stores that are fully focused on selling jewelry items and accessories. It aims to showcase your offers and products in a most effective and elegant way. Your website will be available all over the world and on all known devices thanks to its highly responsive design. This theme complies with latest PrestaShop requirements and standards, it is easy to install. Moreover, there are a plenty of premium modules and a lot of built-in smart features for easy website customization. Kley – Sunglasses Store PrestaShop Theme is responsive, SEO-friendly PrestaShop theme. This template is a perfect example of the theme that meets all the requirements for an up to date website. Multilingual and Multi-currency options, Compare Products, Wishlist, Ajax Search features and much more. With JX modules gathered in the theme will give you unlimited opportunities for online store customization and optimization. It is the best eCommerce solution with a myriad of features. Create your stunning website, hit the Demo! Yogga-Sports Shop PrestaShop Theme is a great choice to start an online store where you can sell yoga apparel and equipment. This is Light PrestaShop template that has one layout but is packed with the most necessary modules. Oriented on simplicity, Yogga theme is motivated by shop needs and will definitely bring you more profit. This is a Extremely Fast PrsetaShop Theme with basic functionality and the best Search Engine result! Hit the Demo! Eveprest Lingerie 1.7 – Lingerie Store PrestaShop Theme with a neat and clean design is handled in a masterly manner for lingerie and intimate apparel online stores. 4 different layouts with inimitable functionality are available in the theme. The template is packed with a vast number of top-notch modules for the effective store management. With the help of JX Blog, JX Mega Layout, JX Lookbook and many other modules you will be able to customize your website with ease and confidence and showcase the maximum features of your products. Design a professional online store to sell tennis clothes, accessories and supplies with this responsive YellowBall – Tennis Store PrestaShop Theme, with distinctive design and clean layouts with enhanced functionality. Try in use the Mega Menu module, an effective option that will speed up navigation through the pages. The Blog module is there to give your website higher SEO ranking and keep your customer informed about helpful posts about store events, special offers etc. This template will be definitely the best possible choice for you. Don’t waste your time and hit the Live Demo right away. Eveprest Fashion 1.7 – Fashion Store PrestaShop Theme is a wonderful multipurpose Eveprest Fashion 1.7 theme. From now, get more opportunities creating fashion online shop using new mega functional JX Mega Layout module and redesign your homepage with ease. Fight Store – Sports Equipment PrestaShop Theme is a unique Fight Store template from PrestaShop that is specialized in selling training garments, accessories and fight equipment. The prominent peculiarity of this theme is that the Home page is made as ‘accordion’ where each section is a category of products. With such an interesting design idea your online store will definitely stand out in a crowd. Make no stay and try this outstanding theme right now by hitting the Live Demo! Eternize Jewelry Store PrestaShop Theme is a 100% responsive template with a clean and neat design built with the modern e-commerce tendencies.Theme supports all devices it is user-friendly and fine-looking will be the best solution for your business! Spirit – Liquor store PrestaShop Theme is a responsive theme specially designed for alcoholic related businesses. Dark design of the site makes it looks very elegant. Multi-currency and multilingual supports make a purchase possible for all customers from all over the world. YangXin – Chinese Restaurant PrestaShop Theme is specially designed for restaurant and takeaway food stores. You can choose one from 3 premade layouts and present your products in the most delicious way making the site unique. Try the Live demo and be sure it’s a great solution. MaxiGlass – Optometric Store PrestaShop Theme is a responsive theme for optics, optometry and eye care online stores. A PrestaShop team has implemented a plenty of crafted modules into the theme to give you unlimited opportunities for optimizing an online store. It is a Premium PrestaShop Theme with the Unique set of features. Hit the Live Demo! Mannerway – Clothes & Accessories PrestaShop Theme is a great solution for your PrestaShop website. Its stylish and modern look makes a bold impression on your visitors and clean design with a lot of white space is pleasing to the eye. Mannerway is a PrestaShop 1.7 theme, which is the latest generation of PrestaShop themes that provides you with the newest features and functionality. Leo Koi Powerful PrestaShop Theme has been built with the aim of providing you an online store with a lightweight but functional structure and professional look. Leo Koi is especially suitable for beverage stores like tea, milk, alcohol or beer, etc. Its responsiveness makes it possible to be nicely displayed on any screen sizes like desktop, tablet, laptop or mobile phone. It is important to state that Leo Koi is outstood by the combination of powerful modules from Leo Theme like Leo Megamenu, Leo Feature, Ap Pagebuilder, Leo Blog, Leo Slideshow. Gift Ribbon – Modern PrestaShop Theme is an excellent Template for a Modern Accessory and Minimal Store, or any Clean eCommerce store with 3+ Homepage Layouts and tons of Options for Shop, Blog, Portfolio, Store Locator layouts and other useful pages. Gift Ribbon will meet & fit any kind of eCommerce sites as you imagine. Gift Ribbon is built based on the Prestashop Page Builder and has tons of powerful extensions such as Mega Menu, Blog, Testimonials, Daily deals, Advanced Reports, Quick view, Color Swatches, Ajax cart, Brands.